Rope handled paper carrier bags can be printed to a very high quality using lithographic printing process to give high quality finishes. This style of carrier can be produced in less than 2 weeks in quantities from as little as 250. These are perfect for high quality promotional purposes, shoe shops or boutiques where quality is essential to the companies profile. This type of bag is highly customisable. Beckdale can create artwork, or simply place current artwork onto the bag layout for your approval. All orders are signed off via PDF approval. A sample bag can be requested before full production and will be supplied at cost. 2 spot pantone colour print, 100% ink coverage. We arrange the production of customised designer paper shoe bag. 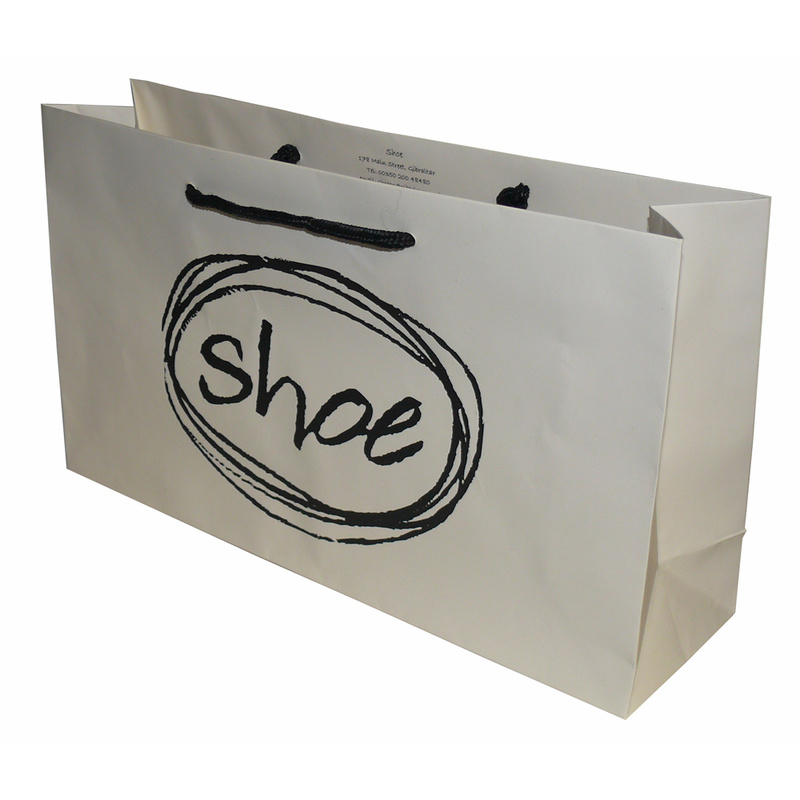 Our in house staff are happy to help purchasers buy bespoke designer paper shoe bag. To order choose by material or different styles of , connect with Beckdale via phone or email.